Arts & Social Sciences: Access to Higher Education Course (SWAP)	Arts & Social Sciences: Preparation for Further Education	National Certificate in Rural Skills	National Certificate in Celtic Studies	Celtic Studies Access to Higher Education Course (SWAP)	Primary Education – Access to Higher Education (SWAP)	 IMPORTANT NOTE: if the course you wish to apply for is HNC Social Sciences, then you must apply through UCAS. Do you hold a valid UK Visa? If YES - which visa do you hold? This information is collected in accordance with the code of practice issues under the Disability Discrimination Act and is not used in any selection or allocation process. This information will be used to enable us to support you whilst at College. Please give details of any additional needs you may have in order for the Student Support Team to be able to advise you on appropriate types of help available. Date of leaving, or your intended leaving date. Please tell us why you have chosen this course, including any relevant skills and experience you have. Give details of any training schemes, work, volunteering, parenting, caring and any other information which might be relevant to your application. 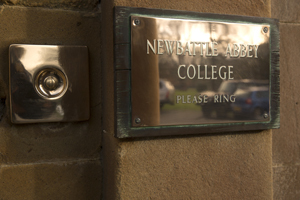 It is useful for us to know where you heard about Newbattle Abbey College. Please tick the appropriate box to tell us what prompted you to contact the College. I confirm that the information given by me on this application form is to the best of my knowledge correct and complete and give my consent to the information I have supplied being used as outlined in the Data Protection Act 1998. Students may be approached by either SFC or SG, and/or their partners, to take part in research and surveys to help them with this task; and the College (NAC) and/or their partners may contact applicants/students about College courses, Surveys, Destination Tracking and events such as Open Days. 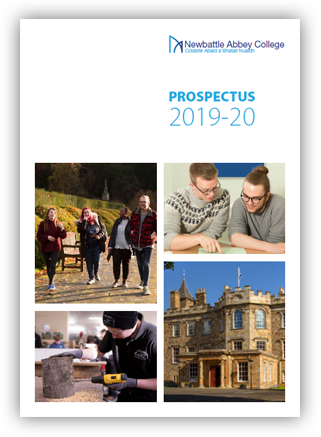 The Scottish Funding Council (SFC) and the Scottish Government (SG) have responsibility for improving education in Scotland, as well as planning for future provision of both further and higher education and the funding of institutions and students. At no time will your personal information be passed to other organisations for marketing or sales purposes. I certify that to the best of my knowledge the information given in this form is correct.